Our clinic for war-wounded Syrians in northern Jordan is being forced to close: leaving people in desperate need of healthcare. The news comes just six months after the country shut its borders with Syria. At the MSF clinic in Zaatari refugee camp, 80 km north of Amman (the Jordanian capital), we provide post-operative care to refugees. These patients are recovering from surgery carried out in nearby hospitals, including those in our surgical project in Ramtha hospital. On 21 June, Jordan decided to seal its borders with Syria. This has halted the medical evacuation of war-wounded Syrians to Ramtha hospital. For over three years, we have provided emergency surgical care in Ramtha alongside the Jordanian Ministry of Health. Currently its wards are almost empty. As a result, referrals to our Zaatari clinic have plummeted. “Knowing that there are probably patients dying, just a few kilometres away on the other side of the border, because of lack of access to medical care, is shameful,” says Marjan Besuijen, MSF project coordinator in Zaatari. 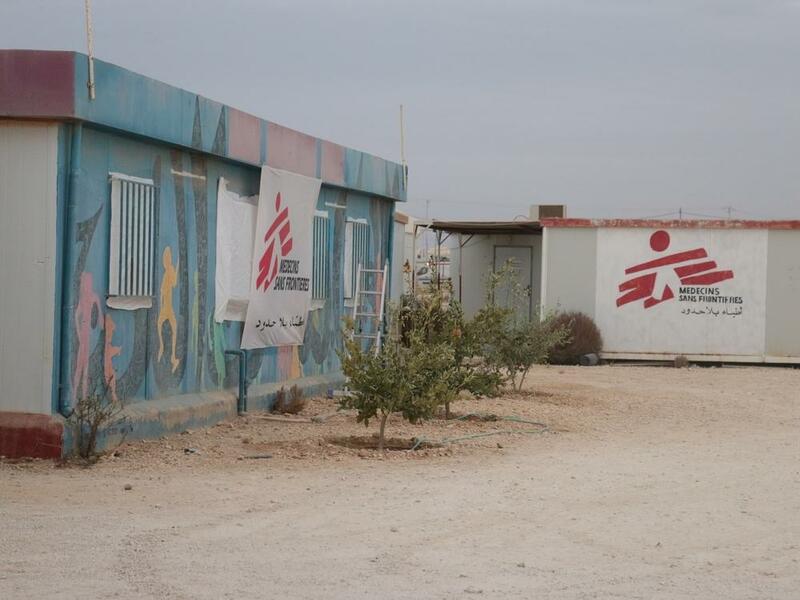 “The wards inside the Zaatari clinic are silent, no longer filled with conversations or laughter. But this is not because the violence in Syria has diminished in any way, nor that there are no wounded in need of medical treatment. Our team in Ramtha hospital continues to treat the limited number of war-wounded people allowed into the country. But should the border remain shut, we are concerned that our surgery programme may also be forced to close. 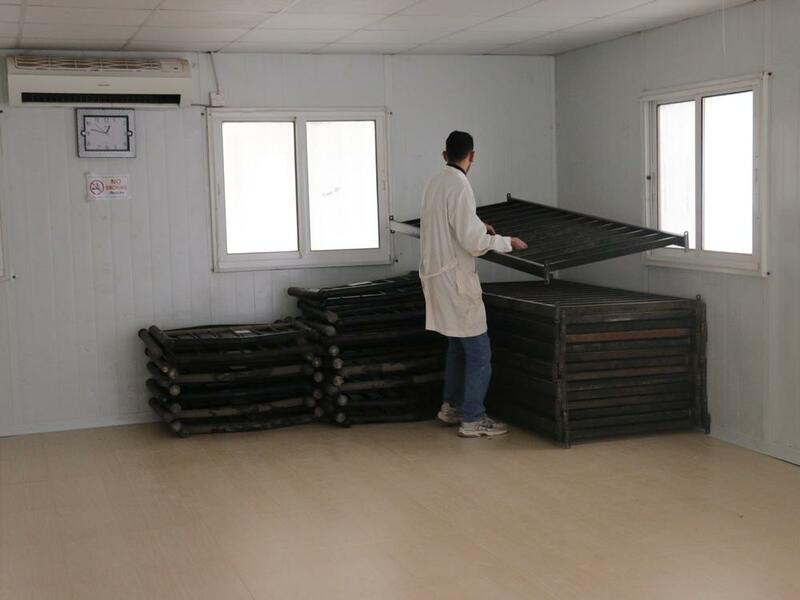 In late March 2014, MSF inaugurated a post-operative care unit in Zaatari refugee camp, northeast of Amman. The space was opened as a step-down overflow facility for war-wounded Syrians referred from MSF’s Ramtha surgical project and other Jordanian hospitals to receive long-term rehabilitative and convalescent care. Jordan’s stringent decision to seal its borders with Syria completely on 21 June denied war-wounded Syrians access to Jordan. Despite the intensification of fighting between warring parties in southern Syria, Jordanian borders remain tightly sealed, leaving the severely-wounded Syrians and lifesaving cases with very slim chances to survive. Today, MSF’s facility in Zaatari stands nearly empty despite the growing medical needs at the other side of the Jordanian borders. 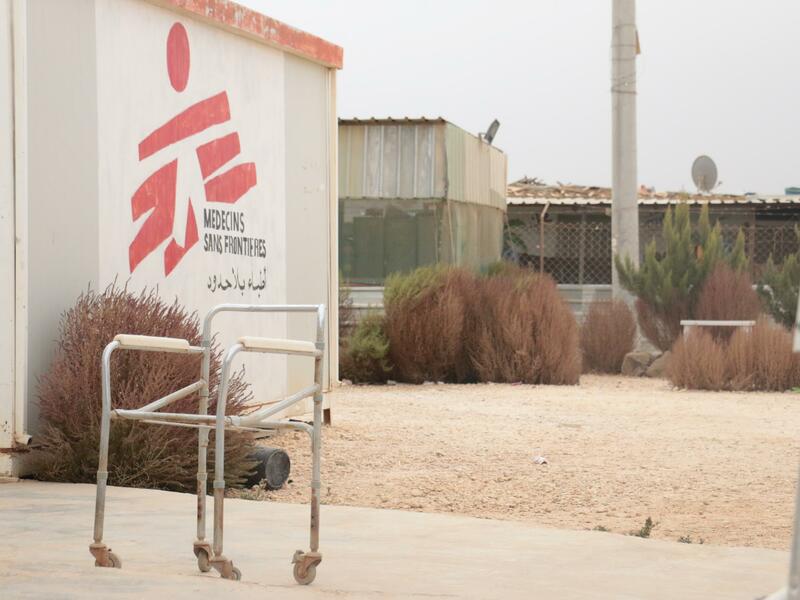 To this end, MSF has regrettably decided to end all operations in its Zaatari facility while the number of war-wounded mounts behind the closed borders. Field hospitals in southern Syria are overstretched and short of staff and equipment. Injured patients may be transferred from one field hospital to the next, in pursuit of medical expertise or equipment to perform complex surgeries. Travelling across Syria risks their chances of survival - a situation avoided if performed in Jordan. “With fighting and airstrikes intensifying in south Syria since late September, we have received information that the number of Syrians injured in this brutal conflict has mounted,” says Luis Eguiluz, MSF’s head of mission in Jordan. “However, our ability to save lives has been seriously restricted now that war-wounded are not allowed in. 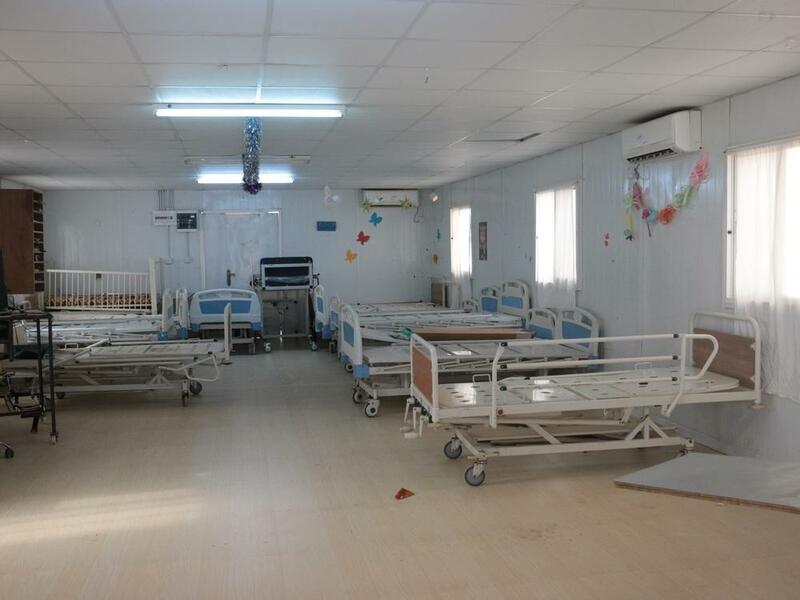 We opened our 40-bed post-operative care clinic in Zaatari refugee camp in late March 2014. It was to act as an overflow facility for our surgical project in Ramtha. At the clinic we provided convalescent and rehabilitative care to Syrian patients, including prosthesis, physiotherapy and psychosocial support. A total of 531 war-wounded patients referred from Ramtha hospital and other medical facilities were admitted to the clinic. Staff provided 2,143 outpatient consultations, 1,454 physiotherapy sessions and more than 2,500 mental health consultations. Today, Zaatari clinic is shut and our wards in Ramtha hospital stand nearly empty. All the while, the fighting and airstrikes in southern Syria continue unabated, and the need to provide lifesaving treatment to severely-wounded Syrians grows. Yet, the Jordanian border stay fortified and firmly sealed - forcing wounded Syrians to either find alternative solutions to stay alive, or die. Through our medical partners in southern Syria, we have recorded at least 70 cases of war-wounded Syrians – 16 of them children – being denied permission to cross the Jordanian border. This is despite them being in need of lifesaving surgical treatment. We reiterates our calls on the Government of Jordan to reverse its decision, and to open its borders to war-wounded Syrians. We urge that they are enabled access to lifesaving medical care unavailable to them in Syria. MSF has been working in Jordan since August 2006, when it set up a reconstructive surgery project in the capital, Amman. Since 2013, we have been running an emergency trauma surgical project in Ramtha hospital. We also run a mother and child hospital and two non-communicable disease projects in Irbid and Ramtha, to support both Syrian refugees and vulnerable Jordanians.